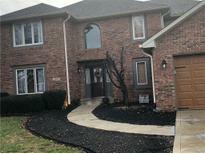 Below you can view all the homes for sale in the Willow Lakes subdivision located in Greenwood Indiana. Listings in Willow Lakes are updated daily from data we receive from the Indianapolis multiple listing service. To learn more about any of these homes or to receive custom notifications when a new property is listed for sale in Willow Lakes, give us a call at 317-308-8198. This home will not last long so don't wait to come and take a look. MLS#21634914. Keller Williams Indy Metro S.
Backyard Oasis w Kidney Shaped 13,000 Gallon - Fiber Glass Inground Pool Featuring Automatic Cover & New Filter/Pump, Big Stamped Concrete Patio/Pool Deck, Amazing Screened-In Porch, Updated Landscaping & Fantastic Perennial Flowers. MLS#21629837. Jeff Paxson Team. Walk to kids events at CG. MLS#21625633. RE/MAX Results. 3 additional large Bedrooms, large backyard, great for the kids. This is a must see! ! MLS#21611183. Vital Equity Realty, LLC. Desirable Area To Enjoy Community Sporting Events, Super Markets, Restaurants & More! BRAND NEW ROOF - 2018 MLS#21585265. Jeff Paxson Team.